I didn’t realize there was a Radica’s Hot & Spicy in Mississauga. I was very aware of the location in Brampton, as my coworker recommends it highly. And I love roti and curry. I used to go to Drupati’s and Alima’s regularly. 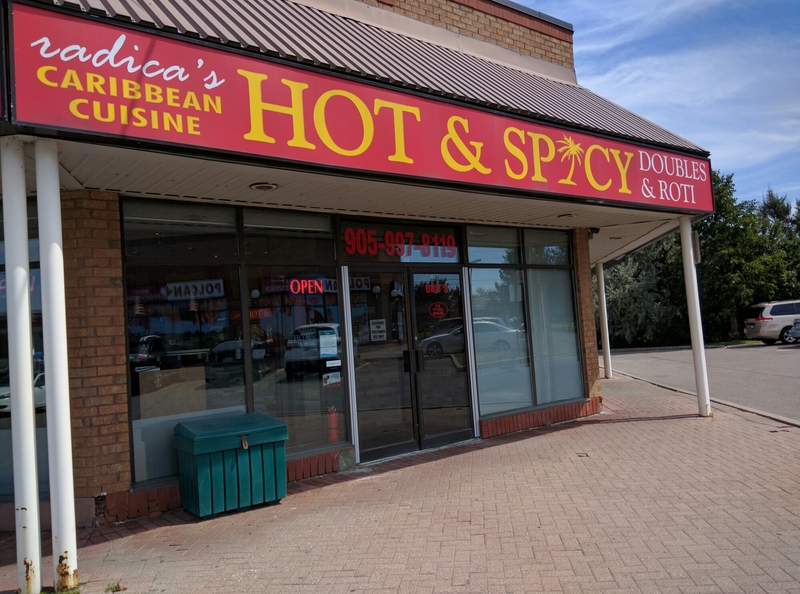 Now I can go to Radica’s Hot & Spicy at Dundas and Winston Churchill Blvd. 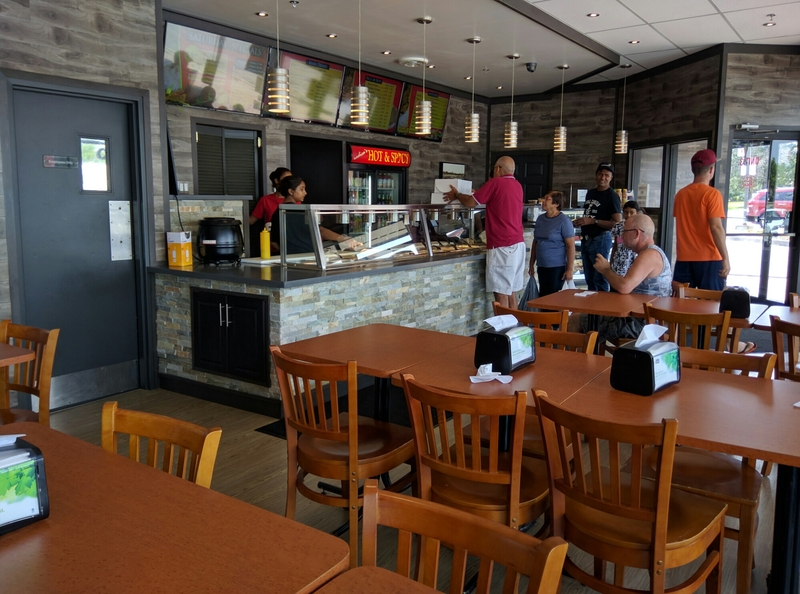 Radica’s is very clean and spacious inside where you can order your food at the counter and then sit at the table and chairs to eat your meal. They cater to UberEats customer regularly. 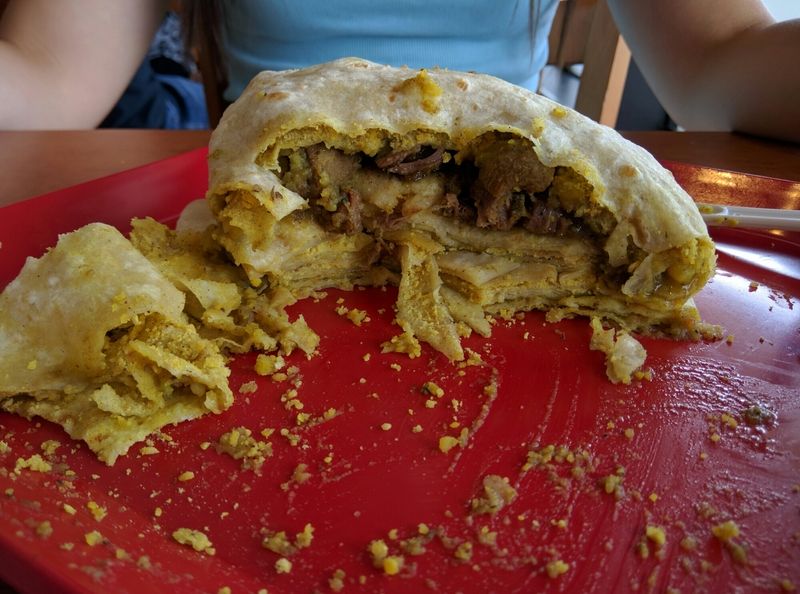 I ordered a large boneless chicken roti, and my daughter ordered a large lamb roti. As usual, our rotis were humongous. We both asked for mild, but my chicken was spicy. White chicken meat mixed with potato and curry. I thought it was a little bit salty, but overall I loved my food. I also had hot sauce on the side. The lamb roti was delicious as well. Large chunks of tender lamb and potato and curry. The lamb was not as hot spicy as the chicken. Two large rotis with two pops came to $25. Now I need a trip to Trinidad for sure! 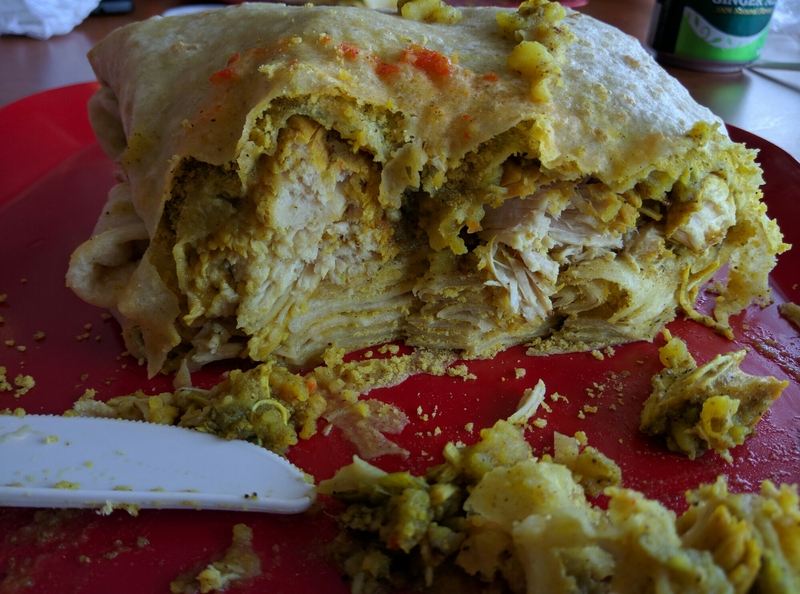 I’m eating my leftover chicken roti and I have to say that it is even more delicious today than it was yesterday when I bought it. The flavours have all melded together so it tastes amazing. The roti is still soft and stretchy even after I microwaved it. Radica’s is #1! It looks like this place is more of a counter-service restaurant than sit-down service. Is that correct? The overall best WI food in the West GTA right now is probably Drupati’s in Brampton, but it is too far for me. 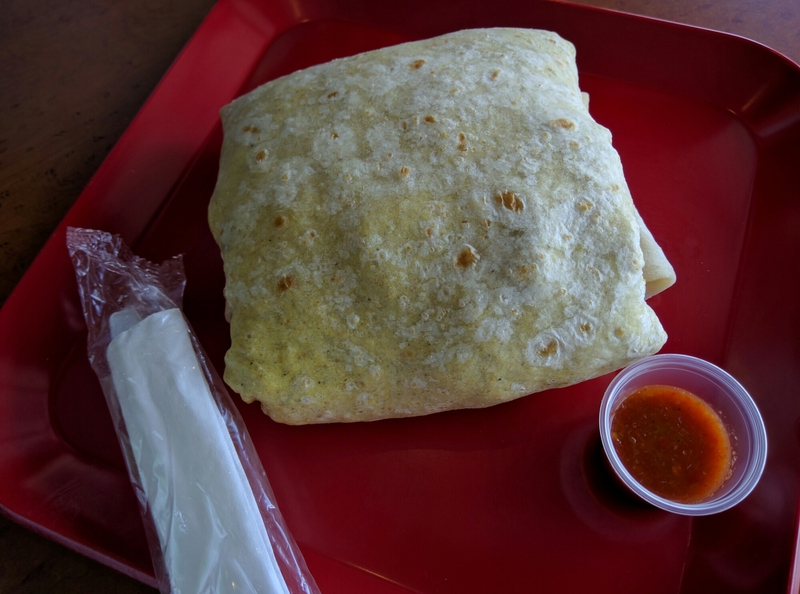 I have actually been going to Shandra’s Roti at Eglinton and Tomken periodically. The roti itself is average, but the takari (filling) is extremely good! Yes it’s counter service. I thought the chicken was too salty, but overall still enjoyed it since I haven’t had roti in ages. It tasted much better later at home eating the leftovers. i thought the roti was soft and smooth and not dried out. My Trinidadian friend, who’s a senior, speaks highly of the Brampton location tho, so I trust that Radica’s is as good as it gets. Brampton is too far tho. So , I’m happy that Radica’s is here. Although, during rush hour could take some time getting there. Used to go to Drupati’s in Etobioke all the time. I’ve been eating around the corner and didn’t know this place existed. Thanks, will try ASAP. It’s right beside Dai Ichi Sushi.